We will be performing live at ‘The Fabulous Wedding Show’ at the Hilton Grosvenor this Sunday from 12pm til 4pm. Hope to see you there! Wedding show in Dunblane THIS SUNDAY!!! Korda at your Christmas party! 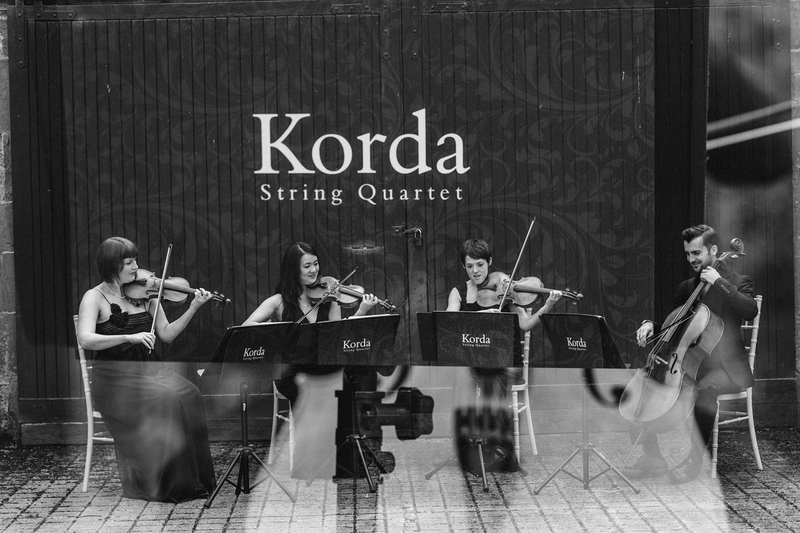 Why not add some more festive cheer to your Christmas party with Korda String Quartet? Take a look at our repertoire page and get in touch for more details! Check out our ‘listen’ page where you will find lots of lovely new recordings! From Snow Patrol to Scottish traditional music, this gives you an idea of what we do. New videos on the Listen page! Scotland’s Exclusive Wedding Event – Only 5 days to go! Scottish Opera are performing Puccini’s ‘La Fanciulla Del West’ on Monday the 23rd of August at 7pm in the Usher Hall in Edinburgh http://www.scottishopera.org.uk/10-11/la-fanciulla-del-west ﻿It is a one-off concert performance and you’ll be able to see Katie playing away at the back of the 1st violins!